Why Do So Many Vegans/Vegetarians Develop Candida? One of the questions we hear repeatedly is why does someone who eats primarily vegetables, fruits, seeds and nuts develop candida? 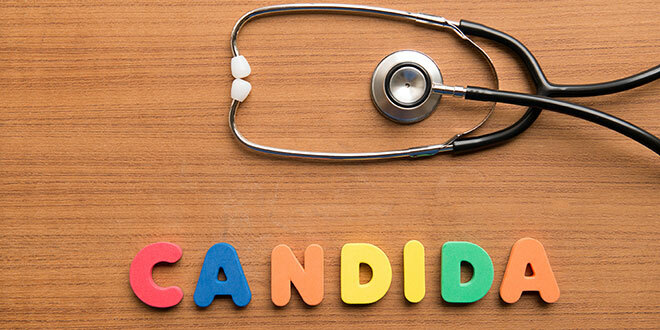 While this isn’t an inclusive list of causes of candida, it should give a clear indication that this is a multi-faceted situation that likely will need a multi-faceted approach for remediation of the problem. As is evidenced above, people who consume primarily plant-based foods have the potential of eating too many high carbohydrate foods. They also may not be consuming adequate amounts of protein or fats. With an imbalance in these three main food groups, there can be a likelihood of potential candida issues. An area that I have always struggled with in my journey with candida has been the mercury and cadmium toxicity. With a mouthful of cavities and my first twenty years in a smoke-filled living environment, I certainly understood why I was toxic, but the cost and time of chelation through IV just haven’t been in my life, so instead I have had to focus on oral chelation, which, while safer, takes much longer to remove those heavy metals. Of course, removing all of those mercury fillings is the key before spending any effort on oral chelation. If you are one of us plant-based consumers that tends to fight candida, take a careful look at that list above. Do you eat much rice, many potatoes, many grains, much fruit, any starchy carbohydrates? Have you noticed your liver is getting sluggish? Are you sensitive to EMF’s? So many people judge us by saying that without meat, eggs or dairy, we are setting ourselves up for a mineral deficiency. Well, we do have to be much more vigilant ensuring we are eating a variety of greens, nuts, seeds, beans and vegetables. We should be fermenting some of our vegetables as well. Discreet supplementation of certain vitamins is also important. But, it is doubtful that plant-based eaters develop candida any more readily than a Standard American diet consumer. It can be difficult trying to get this under control. It will never totally be abated and you must always be careful with not consuming too many carbohydrates that are sweet or grain based. If you suffer from hypothyroid issues, just understand candida has a connection in that as well. Don’t let people bully you into believing that a vegan or vegetarian is more likely to get candida. It is highly unlikely that those eating the SAD are any less likely to develop candida. Make certain your plate is filled with low glycemic vegetables, lots of leafy greens and a serving of protein and quality fat that will balance out the meal. We developed dietary guidelines on our website. You can find it here Candida Dietary Guideline. Remember to assess the other areas in your life as stated in the list above. Finally, if you can’t control the stresses in your life, then you will need to control your reactions to them. If stress is a major factor, then most everything you do to assuage the other areas will not be enough to get you over the hill toward better health. You must manage your reactions or they will definitely manage you. Yes, I found this out the hard way! I had to cut out all fruits, wheat and grains. I’m in my 6 month now and no problems with candida. I use sweet leaf stevia, only berries when I want them. I only use quinoa, and kelp noodles. I’m not really missing the wheat at this time. I still take all my supplements and barely max. During the healing stage I had to fix a mineral broth, vegan yogurt, kimchi, sauerkraut and a good probiotic with plenty of cooked vegetables (carrots occasionally). I’m now beginning to incorporate raw dishes again. I do like the Vegan/raw life style yet I have to use wisdom. I still try to keep the 85/15 ratio. In order to eliminate my chronic candida symptoms, I started by going vegan (again). Soon I eliminated all processed and refined sweeteners. Then I gave up ALL sweeteners, except stevia – including the “healthy” ones (like pure maple syrup and coconut sugar). As the symptoms continued, I decided to give up ANYTHING sweet or starchy – including fruit and fruit juice. That made a big difference, but I was still having symptoms and I couldn’t figure out why. So I started taking probiotics and digestive enzymes. I also substituted my caffeinated teas for candida-killing herbal teas. The final thing that kicked my candida, was eliminating all GLUTEN. My theory was that if it spiked my blood sugar, it was feeding the candida/yeast. Within 3 days on this highly restricted diet, my symptoms were gone! This entire process, from S.A.D. to H.Diet (fruit and gluten free) took about 2 months. I was then able to slowly add the fruit, gluten and unrefined sweeteners back into my diet, without the return of symptoms. All praise and glory be to God!